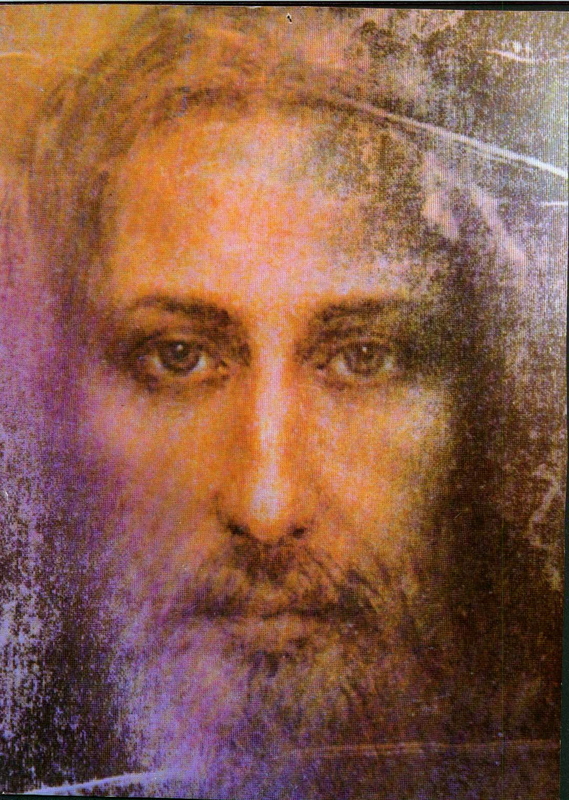 Happy Feast of The Holy Face of Jesus! 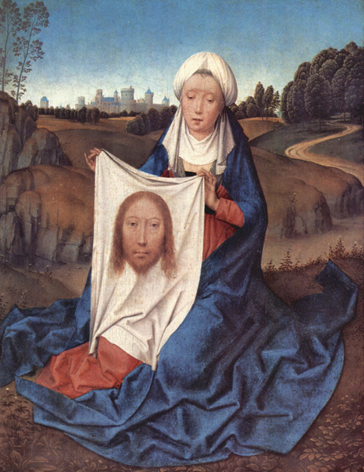 Please offer prayers of reparation on The Feast of The Holy Face, wherever you may be. May God reward you! You are invited to an evening of prayer, sacred music, and Adoration of The Eucharistic Face of Christ in The Blessed Sacrament. The Sacrament of Confession will be available throughout the evening. 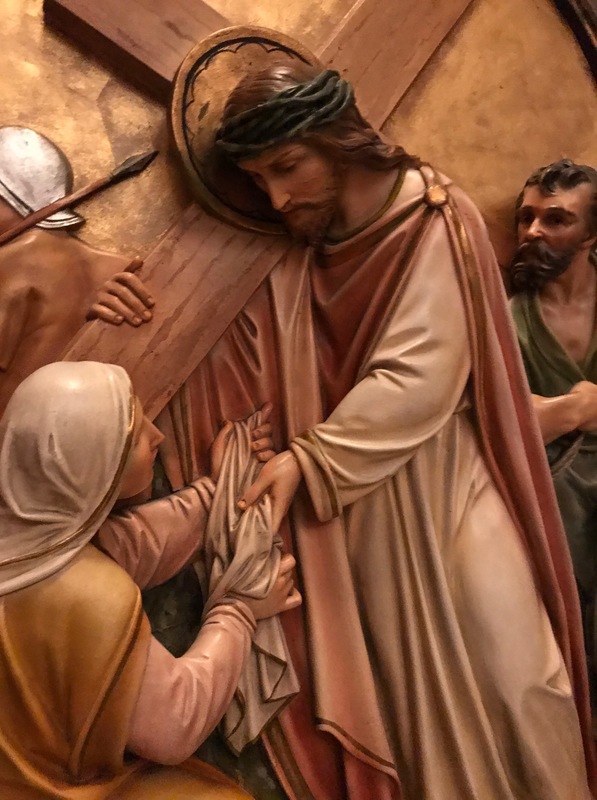 For those in the New Orleans, LA area, there will take place the Annual Holy Face Triduum February 14, 15 and 16 at Our Lady of Perpetual Help Church in Kenner. 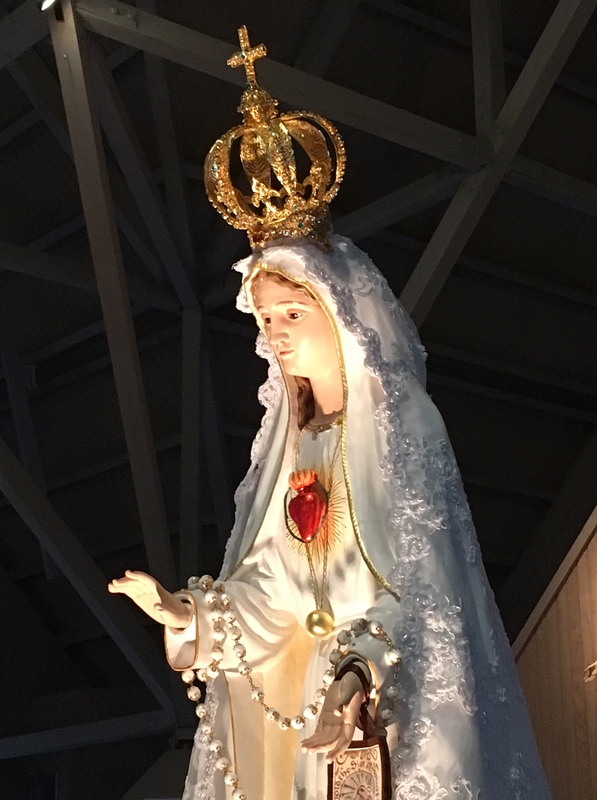 Each night begins with the Rosary at 6:00 pm, followed by Mass at 6:30 pm. In addition, on February 16th, there will be the Mardi Gras Day of Prayer. 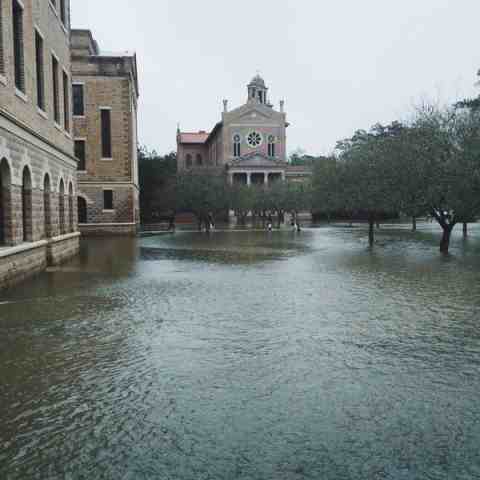 Mass at 12:00 noon, 6:30 pm, and closing Midnight Mass for Ash Wednesday. In between Masses, the Church will be open for prayer and devotions. 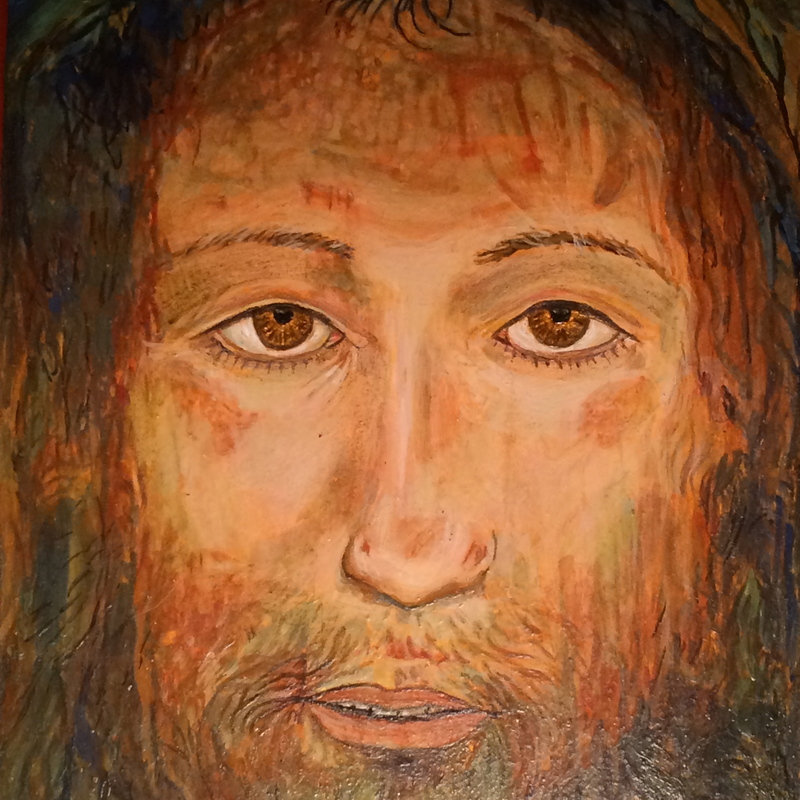 Ever since I first laid eyes on the Holy Face of Manoppello, Italy, I have wanted to paint it. Surely every artist who has looked upon the image has felt the same desire. 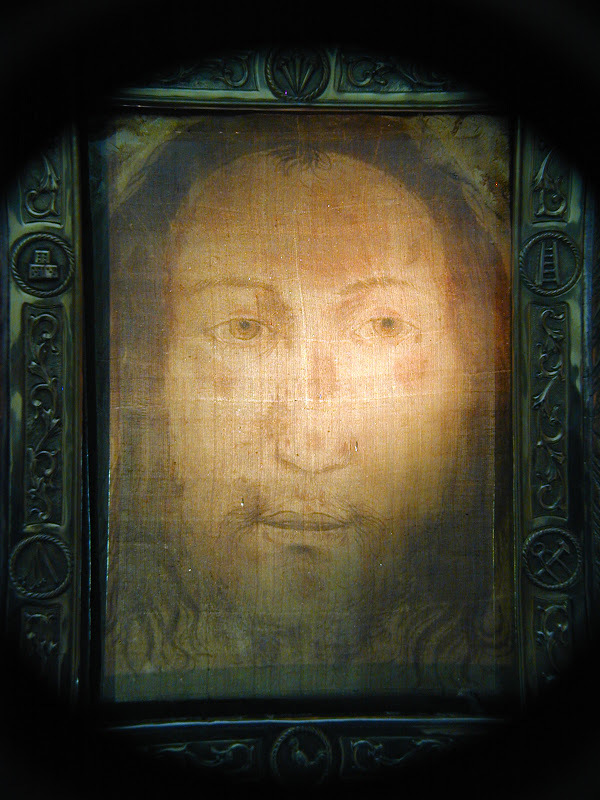 The “Il Volto Santo” seems to be the prototype of ancient images of the Face of Christ in the Eastern and Western Church as there is abundant evidence in museums and churches. 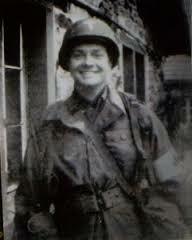 There were more than a few obstacles to fulfill this desire of my heart to paint His Face. 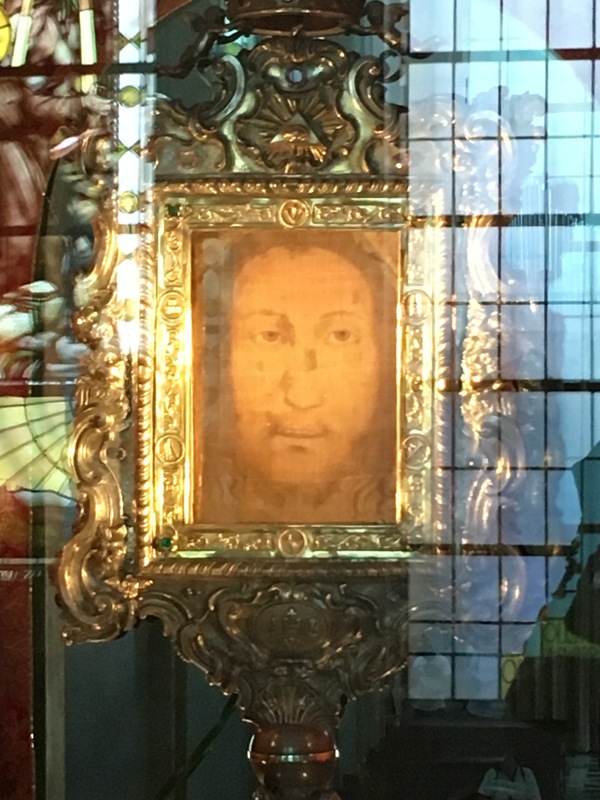 For one thing, I didn’t attempt to take a photograph when I saw the “Il Volto Santo” as I had come to pray as a pilgrim to the Basilica in Manoppello, and made up my mind to get a picture or holy card at the Sanctuary’s small gift shop. 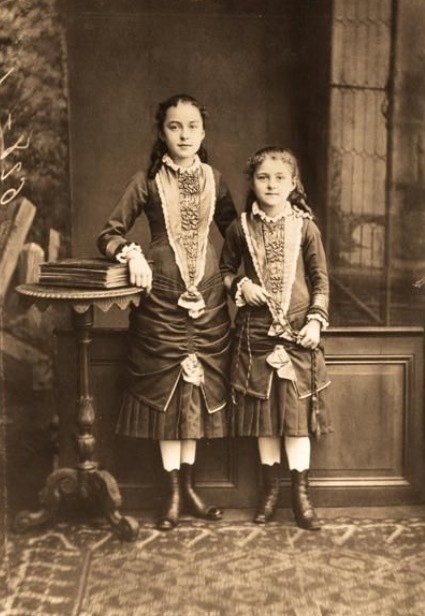 Also, I had seen numerous photographs–all different, some strange, flat or distorted, the color itself varying greatly from one picture to another. 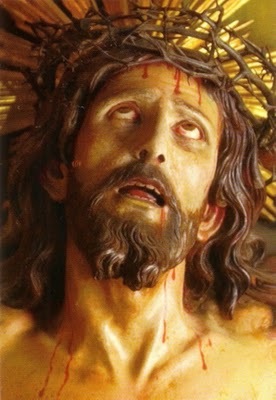 Some photos are very dark and the image appears covered with wounds, as one would see Christ in His Passion. 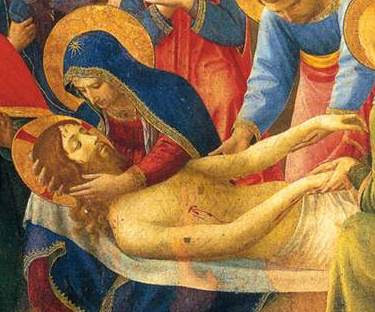 Others bright, beautiful and fresh, with wounds healed as it must have appeared at the moment of The Resurrection. The changeability of the image itself posed a great challenge. 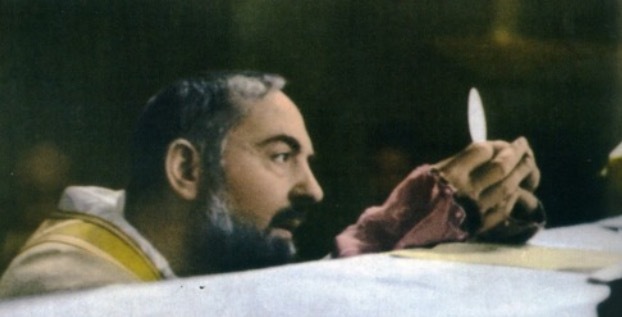 When standing by myself before “Il Volto Santo,” I saw the face with wounds, from a crown of thorns, bruises, blood, torn beard and red inflamed skin. 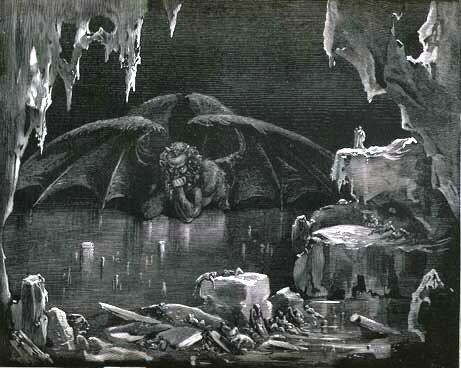 But, upon kneeling … words cannot express what is felt, a living face of a man, wounds very faint and the eyes…! The eyes filled with mercy and peace more deep and still than if Jesus had stilled the waters of the ocean to it’s depths… Again, nothing could compare to what my eyes beheld. 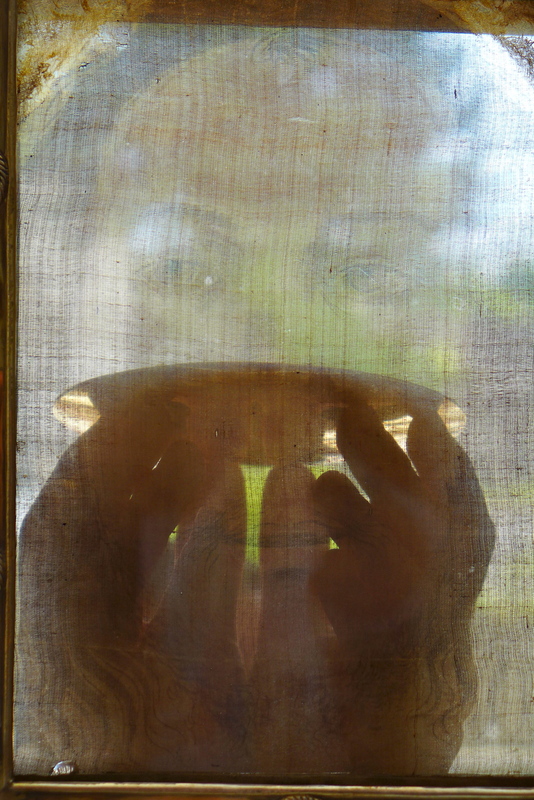 In addition, seeing was one thing and experiencing another. I knew that trying to use paint to convey that experience of God’s Mercy and Peace would fall infinitely short of the goal. Still, the desire to paint His Face remained. More than two years passed before I even began. As I said, no photo I’ve seen would do, but finally I decided to look at several and use the elements that, for me, came close to my memory of the veil. Even though I cannot paint icons in the traditional sense, I do paint them in my own fashion, not having formal art education. Being a wife and raising six children has been my primary vocation in life, and I’ve fit my painting in between the many things that fill a mother’s day. 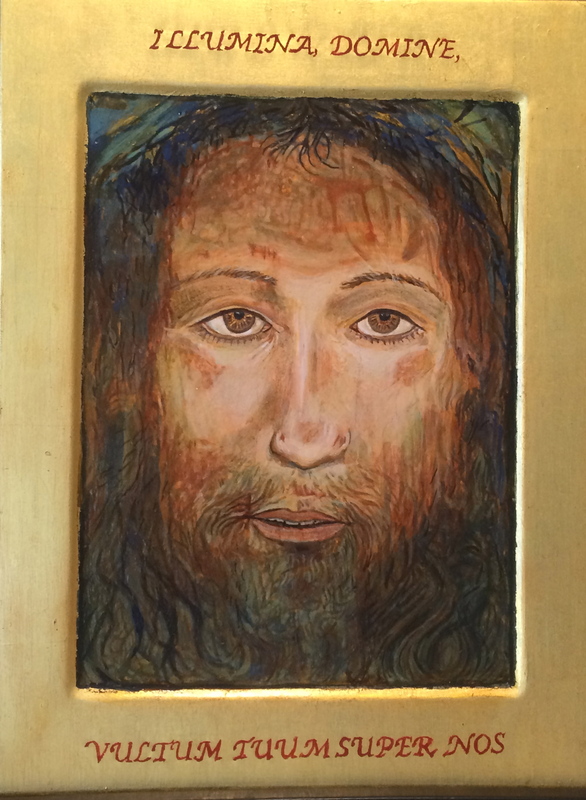 So, when I got fed up with my own excuses not to begin to paint the Face of Jesus, I prepared an icon board, selected a few pictures and began to draw. Artists look at things a little differently, I think. I had planned on making a simple outline of the main features of the face from a relatively clear photo of the Veil of Manoppello that I came across, but my plan took a different turn. Come to think of it, that is often how the Holy Spirit works. 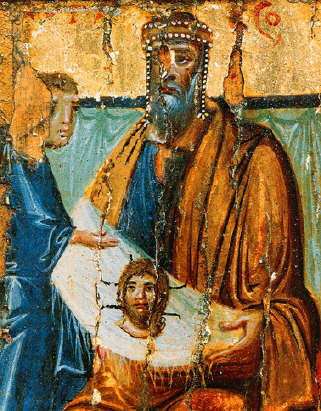 Icons are said to be “written” by the hand of the artist through the Holy Spirit. I drew the lines, and as other faint lines and shadows appeared to my eyes, I drew them as well with the same value or darkness as the most obvious lines. 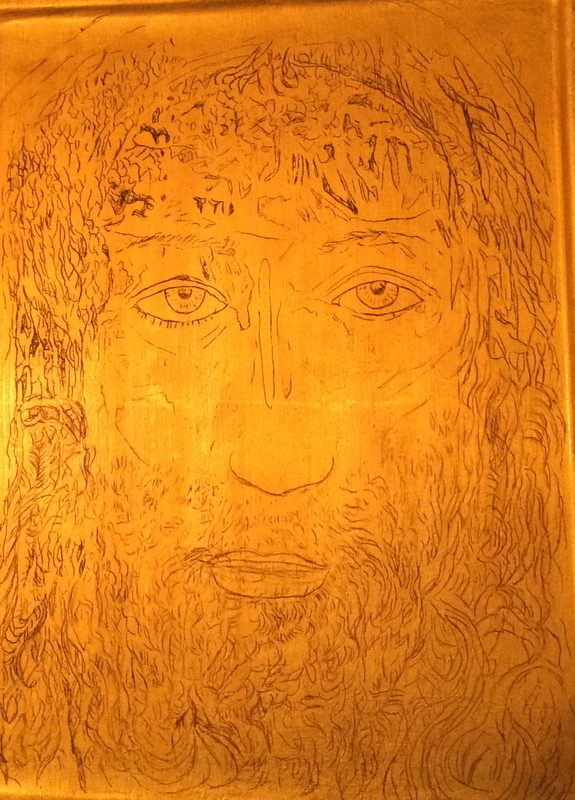 My drawing on gold-leaf on board. The results left me astonished. What isn’t readily apparent manifested itself in such a beautiful way. 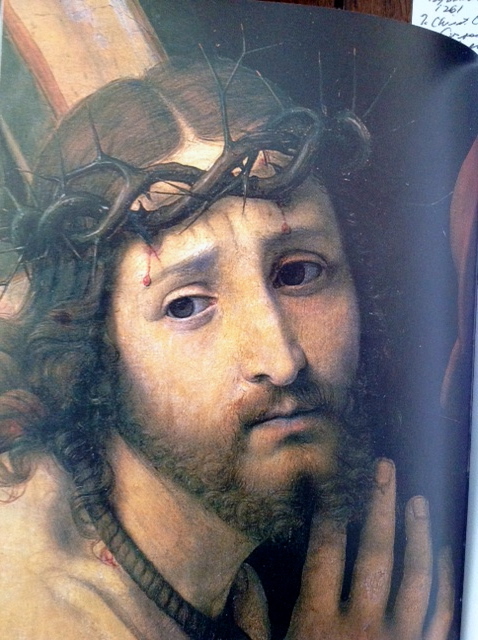 Faint marks on the forehead, for example, appeared as marks from thorns. Faint short lines on the face which turned this way and that were obviously the hair from a torn beard. Looking very closely and drawing each curved line became soft waves of hair. All were there, but faintly. The drawing just made the facts more noticeable. The concentration of the lines above the brow and below the nose accentuated the space surrounding the eyes as though a blindfold had protected them from some of the blows inflicted on the rest of the face. 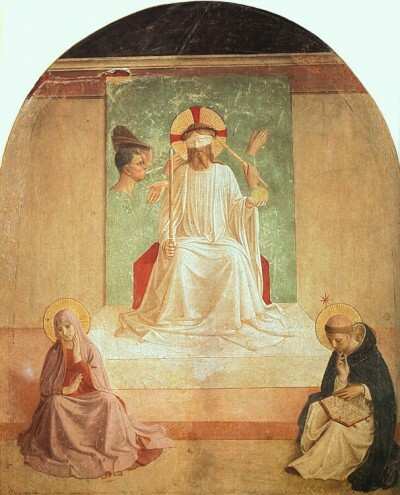 Painting by Fra Angelico showing Jesus blindfolded. 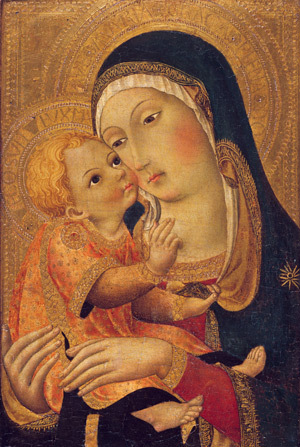 I began the painting in silent prayer. Although sacred music can elevate the mind and heart, I greatly prefer the “language of heaven” which is silence. My family would attest to the fact that when I paint, I tune out all noise anyway. The house could come down around my ears and I probably wouldn’t look up. 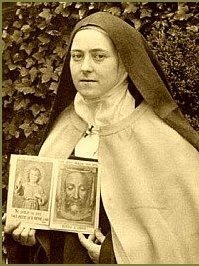 St. Teresa of Avila spoke of ignoring “the mad-woman running around the house” referring to distractions while she was trying to pray. We probably all have our own “mad-woman” who tries to distract us with many cares, anxieties and trivialities as we try to turn our attention to God. Painting is a wonderful way to shut the door on the crazy lady and focus solely on listening to God. 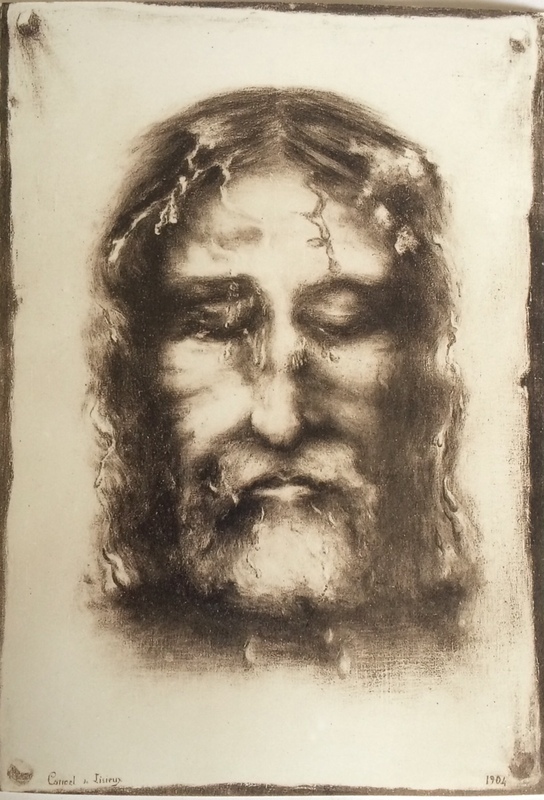 It is true that God’s Face can be found in the Scriptures and in our neighbor, but I seek Him most often in images of Jesus and in particular, I love the image of “Il Volto Santo,” in Italy. 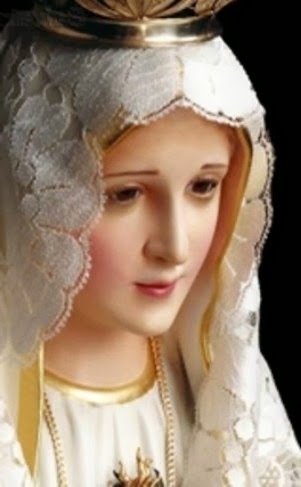 It is for me an icon which encapsulates the whole of Divine Revelation in one Face. 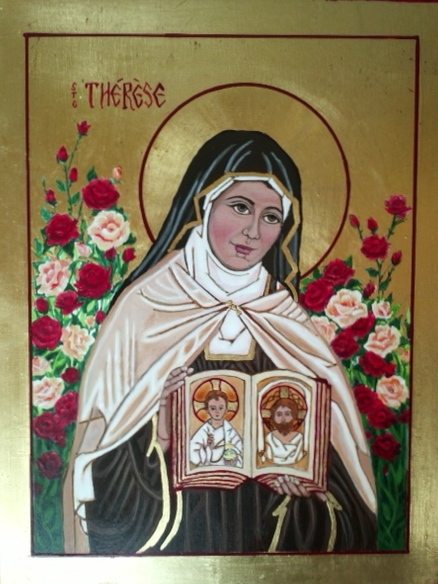 As I select colors and brush and begin my work, I gaze at Him, the words of Scripture are ever present in my mind, beginning with the longing of all mankind, “Your Face, O Lord, I seek. 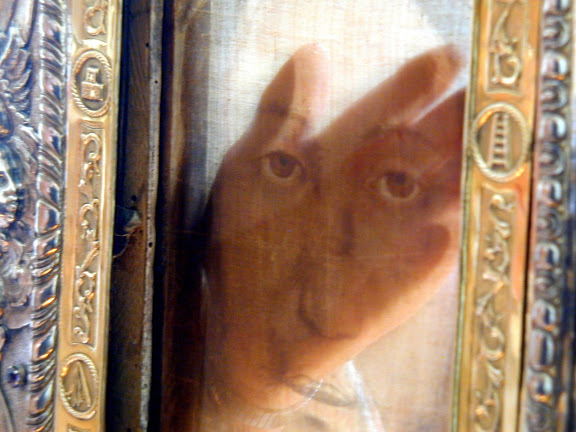 Hide not your Face from me.” (Psalm 27) “There was in him no stately bearing to make us look at him, nor appearance that would attract us to him.” “…a man of suffering, accustomed to infirmity”(Isaiah 53:2 – 3), “For God so loved the world that He gave it His only begotten Son.” (John 3:16) “The word became flesh, and dwelt among us.” (John 1:14) With sorrow, I look at the terrible wounds on the face of Christ, and the words of St. Pope John Paul II echo in my heart, “We cannot stop at the image of The Crucified One. 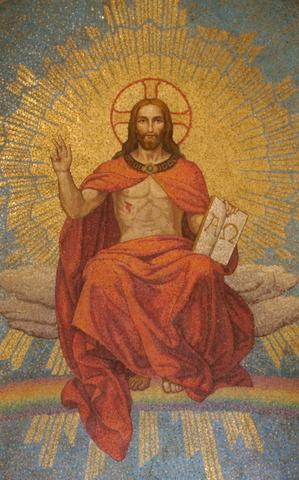 He is the Risen One!” and St. Paul’s words, “All of us, with unveiled faces, seeing seeing the glory of the Lord as though reflected in a mirror, are being transformed into the same image.” (2 Cor 3:18) and more and more… There are no end to the depths of the treasures in His Face. 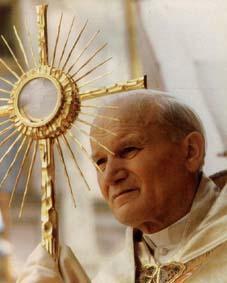 May His Face shine upon you always!